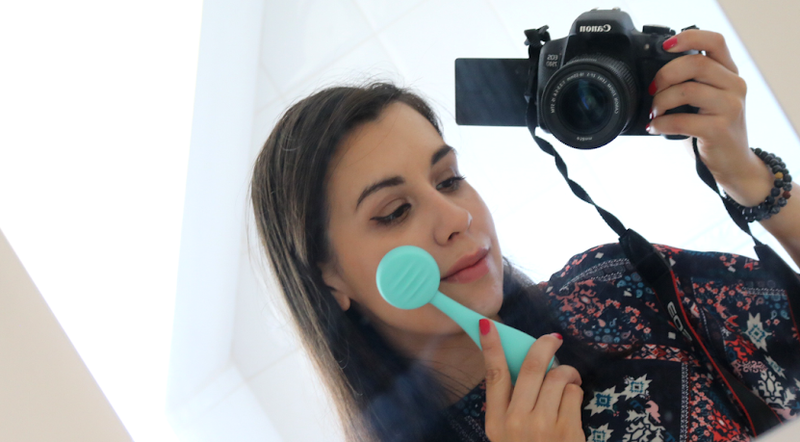 Beauty products and free luxury chocolates - what more could a girl want?! October's You Beauty Box offers amazing value for money! 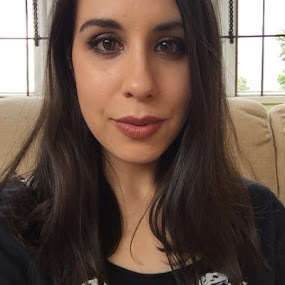 I've been subscribed to You Beauty Box for around two years now. 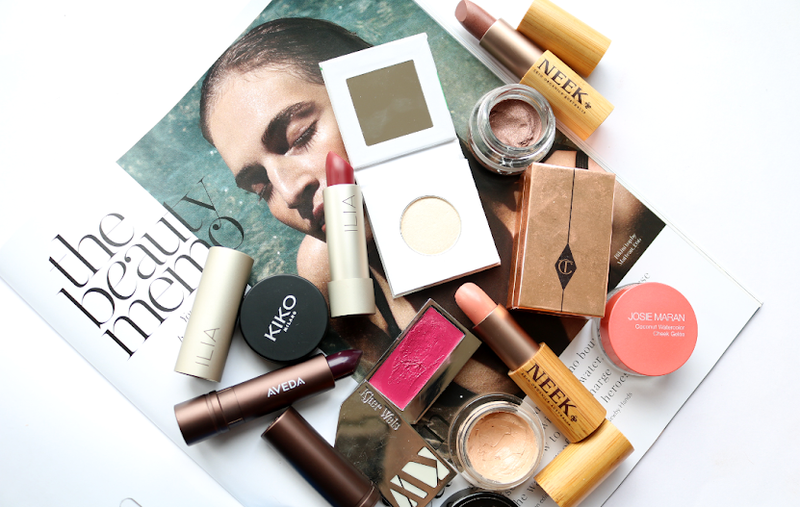 It's one of the cheapest (if not the cheapest) beauty subscription boxes on the market and I love how you can choose the products so you're not going to end up with lots of stuff that you won't ever use. Since they re-branded earlier this year, I stuck with the Bronze membership (where you choose two products for £6.95 per month) as I'm already subscribed to a few other boxes. However, this month I decided to take advantage of an offer that was just too good to refuse as they were giving away a box of Godiva chocolates worth £23 to all their Gold members. So for an extra £4, I could get some luxury chocolates and choose two extra beauty products. Erm, yes please! OWAY Colour Protective Hair Bath (50ml) - An antioxidant shampoo designed to nourish and prolong coloured hair, made from 92% natural ingredients. I'm looking at dyeing my hair soon as I fancy a change, so this sounds like it will come in handy! Indeed Labs Hydraluron Sheet Mask (1 mask) - I love sheet masks in general and have used these particular ones many times in the past - they're fab! FRUU.. Coconut Lip Balm (full size) - Despite being a lip balm junkie, I don't think you can ever have too many, especially with Winter on the way (well that's my excuse anyway). I haven't heard of this brand before but it's organic, vegan and free from mineral oil so it sounds good to me. Aromatherapy Associates Revive Body Gel (full size) - A refreshing and invigorating body gel to even out skin tone and texture. I'm a big fan of anything from Aromatherapy Associates and look forward to trying this out, though I may save it to use for next Spring/Summer as I tend to use thicker body butters and moisturisers now that it's getting colder. Freebies this month include a £25 voucher for your first box from Everdine, a pair of 7th Heaven Soften Glove Masques and a pair of 7th Heaven Soften Sock Masques. Gold members also received an extra product - a 100ml travel size bottle of Dentyl Active Fresh Clove Mouthwash. And those chocolates that I mentioned earlier? 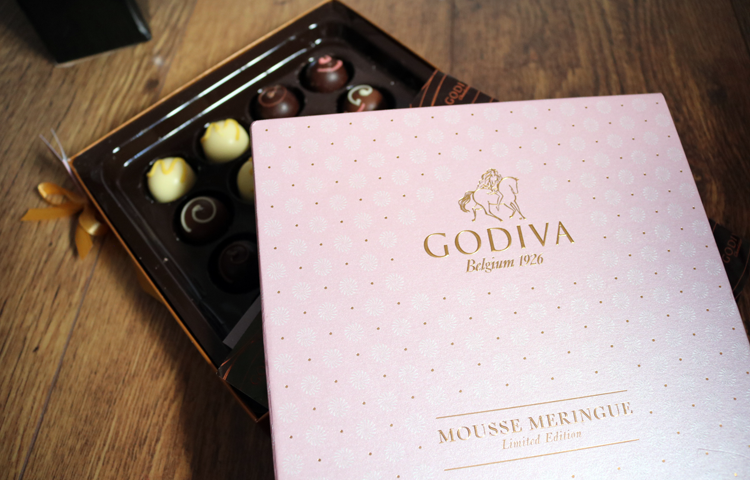 All Gold members received a box of Godiva's Limited Edition Mousse Meringues worth £23 - so delicious and moreish! Although the Gold membership is excellent value for money, I'm not sure whether I'll be keeping it up or downgrading back to Bronze next month as I'm supposed to be saving up for Christmas. I'll see what the shortlist looks like for November first! 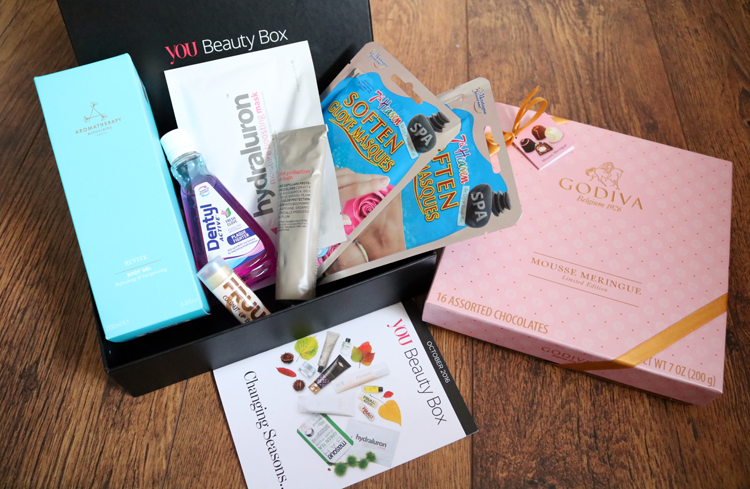 You Beauty Box is priced from £6.95 per month incl p&p - for more info click here. Which products did you choose? I love the 7th Heaven products! I think I'll need to try the foot masks out! Same - they're a great budget friendly brand!